The issue of ditransitive constructions has enjoyed increased attention over the last decade, and a number of important studies appeared. However, a number of questions are not quite explored yet. The contributions in this volume address a variety of languages, provide rich new data on the distribution of ditransitive constructions in lesser-researched languages, and substantiate the findings with corpus data. Recurrent themes in the present collection include the factors underlying the choice of construction in the ditransitive alternation, the most important of which are lexical choices, information structure and discourse prominence of theme and recipient argument. 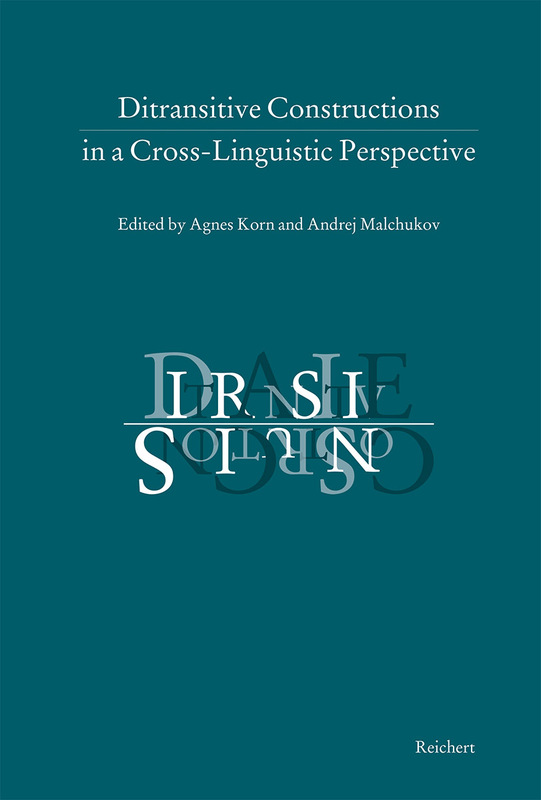 This volume constitutes a contribution to the cross-linguistic study of ditransitive constructions, arguably the most prominent construction in the domain of trivalent verbs. The ditransitive construction is defined, in accordance with typological practice, as a construction formed with verbs like ‘give’, which take Recipient and Theme arguments in addition to an Agent. The issue of ditransitive constructions has enjoyed increased attention over the last decade and has been addressed in a number of important studies. However, certain questions are yet to be explored. The contributions in this volume touch upon a variety of languages, provide rich new data on the distribution of ditransitive constructions in lesser-researched languages, and substantiate the findings with corpus data. Iranian languages are prominently represented in the volume. These languages are particularly intriguing not only because of the bewildering diversity in the ditransitive domain, but also because they present a number of challenges for ditransitive typology. This is due to the fact that these languages feature reduced case systems as well as differential object marking, which obscures the distinction between recipients and (prominent) patient and themes. The volume also features studies dealing with a number of other languages and language families, including modern Romance varieties and their ancestor Latin, Ancient Greek, Tocharian, as well as non-Indo-European languages (such as Mansi and Niger-Congo). Most of the studies take a descriptive and/or comparative perspective, as appropriate when dealing with endangered languages, but some contributions make use of other approaches and methodologies, ranging from psycholinguistic-experimental and corpus linguistic techniques to typological and theoretical analyses. Recurrent themes in the present collection include factors underlying the choice of construction in the ditransitive alternation, the most important of which are lexical choices, information structure and discourse prominence of theme and recipient argument. Lecturer of German as a Foreign Language in Banská Bystrica / Slovakia (1995-96), work for the Austrian Academy of Sciences / department of Iranian studies (1996-97) and on a lexicographical project Persian-German at the University of Graz (1996-98). Andrej L. Malchukov is a Senior Researcher at the St.-Petersburg Institute for Linguistic Research (Russian Academy of Sciences) and Invited Professor (außerplanmäßiger Professor) at the Johannes Gutenberg-Universität Mainz. Apart from descriptive work on Siberian (in particular, Tungusic) languages, his main research interests lie in the domain of language typology. He has published extensively on the issues of morpho-syntactic typology; in particular, he has edited The Oxford Handbook of Case (together with Andrew Spencer; OUP, 2009), Studies in Ditransitive Constructions: a Comparative Handbook (together with Bernard Comrie and Martin Haspelmath; Mouton de Gruyter, 2010), Competing motivations in grammar and cognition (together with Brian MacWhinney and Edith Moravcsik; OUP, 2014), and Valency classes in the world’s languages (together with Bernard Comrie; 2 vols., Mouton de Gruyter, 2015).